Berkeley  While millions watched TV reports of the recent rescue of nine miners in Pennsylvania, documentary photographer Ken Light was just a state away, quietly photographing the death of the coal industry and culture. Each summer for the past three years, Light has packed his camera gear and headed to West Virginia, the countrys most impoverished state and a central location in the saga of the nations shrinking coal business. "Without coal, our world would die, and yet its a completely hidden world, a fascinating place and an amazing story," said Light, a lecturer at University of California, Berkeley's Graduate School of Journalism and curator of its Center for Photography. He has shot hundreds of rolls of film, making photographs of West Virginias struggling mining communities and the remnants of former coal company towns, visual records of "whats there, what happened and whats left." The state where the first discovery of bituminous coal in the United States was made, and where coal has been found in 50 of 52 counties, is blighted by extreme poverty, welfare families, black lung and other disease, and a sense of hopelessness about lost jobs and lost heritage, Light said. In his visits, as he has tried to trace the roots of "coal families", he has been invited into homes with retired miners and their families, attended church tent revival meetings held outdoors, watched wandering wrestling matches, and recorded devastating summer floods. He met a revival "snake charmer" with arms crippled by almost 160 rattler bites, and was invited into "the hollows" with a young man who leaned against his truck to shoot OxyContin, a powerful prescription drug known as "hillbilly heroin." 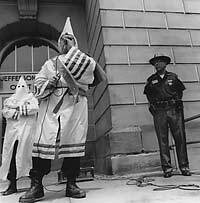 He has attended a Ku Klux Klan meeting. The homes of many families, Light said, are no longer traditional wood-framed structures built on a lot, but trailer homes that can be pulled from place to place. "The physical house as we know it is gone," he said. Although more coal than ever is being removed from the Earth, fewer and fewer miners have been required in the retrieval of coal since the introduction of mechanized equipment around 1950. What once took 100 men now takes one man and a machine, Light said. The work of a coal miner has always been physically demanding and often debilitating. Yet for generation after generation, young men have followed their fathers into the mines. Now the coal industry is a shadow of its former brawny self. "Its like cotton in the South. Its been totally mechanized and it hasnt been replaced, theres nothing," Light said. "So you have a culture thats lost, theres kind of a longing for that." Californias energy crisis and George W. Bushs presidential campaign comments about a coal comeback buoyed hopes in West Virginia, Light said. But mining company executives were more interested in importing "guest workers" from the former Soviet Union, Peru and China than in hiring locals at union wages. Meanwhile, the energy crisis on the West Coast was averted and West Virginias coal industry continues to deteriorate, Light said. 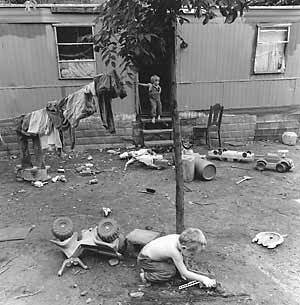 When Light is done with his photography in coal country, he plans to assemble an exhibit of his work and publish the photos in a book, along with personal stories written by his wife, Melanie. He is author of five monographs, including "Texas Death Row," "Delta Time" and "To the Promised Land." 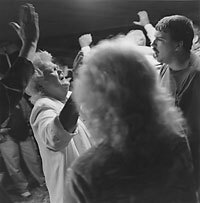 His latest book, "Witness In Our Time," featured 22 interviews of photographers working in this genre. His work has appeared in Granta, Time, Newsweek, Fortune, Mother Jones, The National Journal, Speak, L'Internazionale, Camera Arts and other magazines.